Golf Pass to play in different 3 golf courses during your stay in Tenerife. Amarilla Golf, overlooking the ocean on the south coast of Tenerife, spacious and with an amazing view of the mountains and the volcano Teide. Golf Costa Adeje, one of the most beautiful and spectacular courses in the island of Tenerife, overlooking the sea in the south zone. Golf del Sur, with its 27 holes, is one of the best courses of Tenerife, located in a beautiful area in the south of the island. Golf Las Americas, centrally located in the tourist area in the south of Tenerife, offers a climate and an ideal temperature for 365 days a year. Buenavista Golf, a wonderful and challenging course in the north of the island of Tenerife to be reached by visiting one of the most beautiful areas of Tenerife. Real Club de Golf de Tenerife, in the north of the island, is the second oldest course in Spain and is nestled in a mountain area in the greenest and fresh area of Tenerife. Plus To play in different golf courses during their stay in Tenerife, including Abama Golf course, exclusive and unique: one of the most beautiful and famous of Europe. 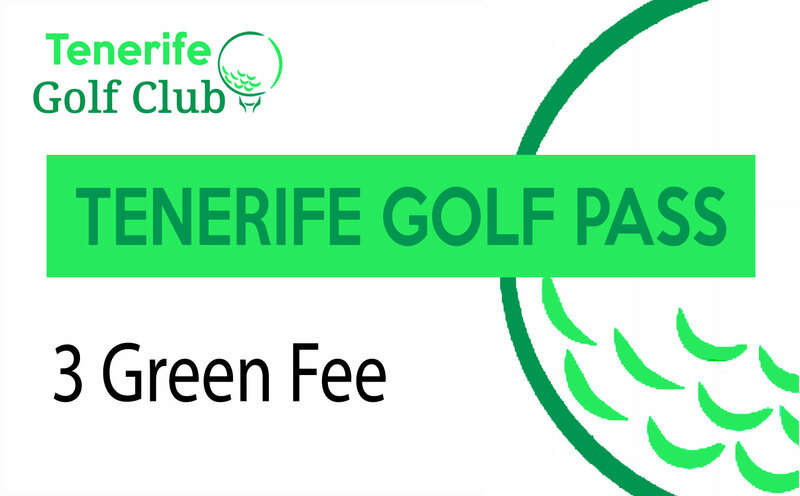 The green fee includes the buggy with GPS, driving range with unlimited balls and fruit and water during the route. Island Includes the Tecina Golf course, in the neighboring island of La Gomera: a wonderful day of golf and a brilliant day of excursion on the island of La Gomera, which is only 35 minutes by ferry from Tenerife. A beautiful and unique course, built in spiral from the top of a hill, with incredible views of the sea and the island of Tenerife. You can choose from the ferry with car transport, to move freely with your car, or opt for a private transfer or a taxi to take you directly to the Golf Club through a scenic and spectacular road. The options can be requested individually or both.